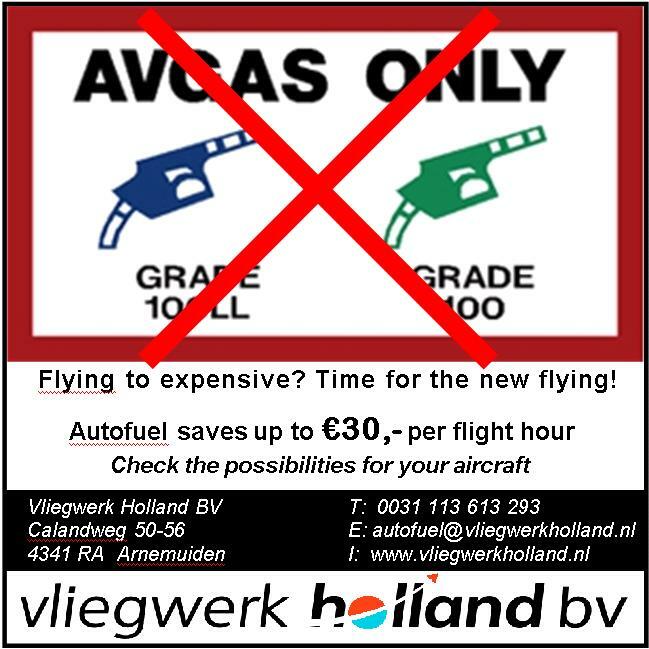 Vliegwerk Holland is the European representative of Petersen Aviation regarding autofuel STC's. Together with the Deutscher Aero Club (DAeC), who validized most of the FAA STC thrue the German LBA, we can offer an EASA accepted approval for using the FAA autofuel STC's in Europe. Petersen Aviation has been doing research on the use of automotive fuel for aircraft since 1983. Forty-eight different engine types and more than 100 airframes have been approved since they began testing. Included in these approvals are nearly all 80/87 octane engines, and the vast majority of airplanes in which these engines were installed. Several high compression engines are approved for the use of 91 octane auto fuel including the 180 horsepower O-360 and the O-235-L2C. Auto fuel is safe for use in approved aircraft. Over twenty-five years of use has clearly demonstrated the suitability of this fuel for General Aviation aircraft. Over 36,000 airplanes world wide are now using a Petersen STC. Most foreign countries accept U.S. auto fuel STC's or have approved them in conjunction with localized Flight Manual Supplements. The use of auto fuel is the best thing that has happened to General Aviation in the last three decades. In an era when the cost of flying has inflated to ridiculously high levels, automotive fuel STC's have done more than anything else to reduce those costs. FAA STC-certification for engines and airframes allows the use of Avgas and leaded or unleaded autofuel without alcohol or a mixture of both. German EMZ as well as EASA-approvals allows only the use of Avgas, unleaded autofuel 98 RON or a mixture of both. Contrary to the FAA approvals, European approvals allow a max. content of 1% alcohol.